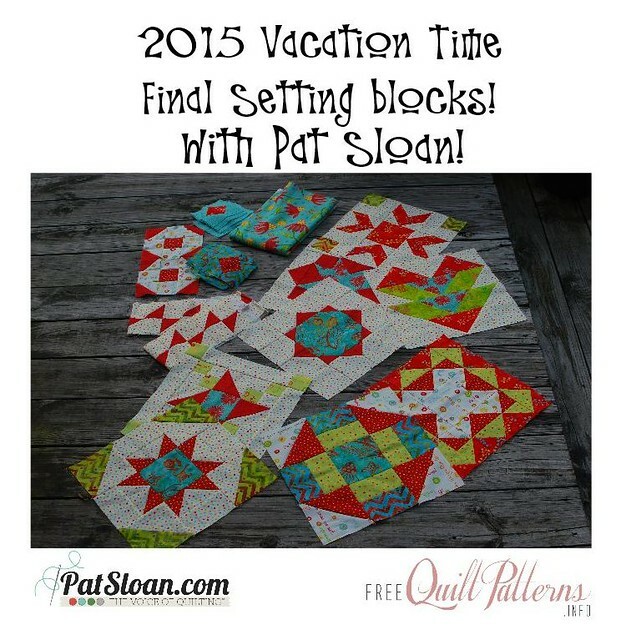 Pat Sloan: Vacation Time final blocks and setting... are you ready? Our AMAZING year of Vacation Time Mystery blocks is ending with a BANG! 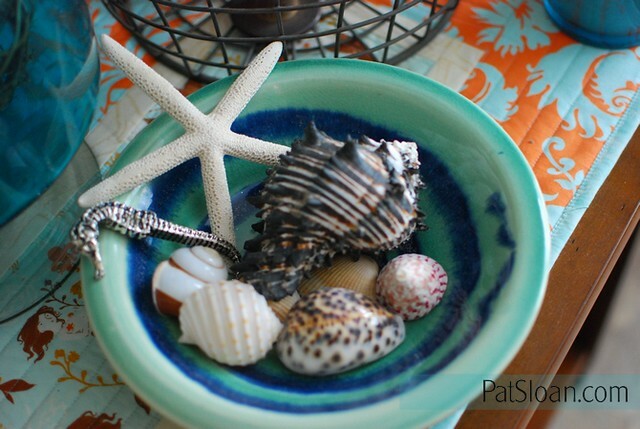 Some Seashells and Bathing Beauties round out your quilt.. PLUS at the end I tell you about my Challenge AND giveaway to a lucky person who sets their top! 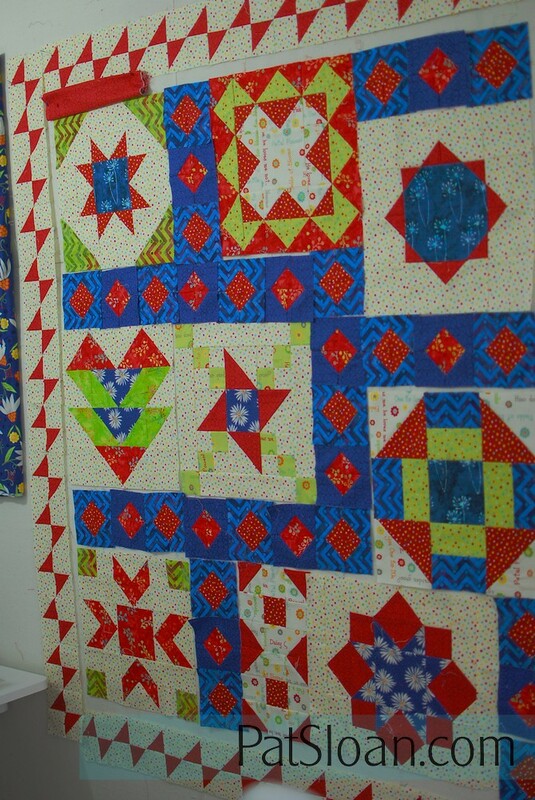 We have a few setting blocks to make, because I'm of the school, more fabric is better.. wink! These are shells I've collected over the years. The shipping Department bought me this gorgeous hand made bowl from New England when we were on a trip. Then I've collected seashells when we have been a bit further south. Here are the Aqua Blocks all ready to go! Don't they look great on that boardwalk? Ok... it's not REALLY a boardwalk, it's my deck, but i think it LOOKS like a boardwalk! And the Navy version on my design wall during the setting process. Do you do this, put it all up where you can see it? 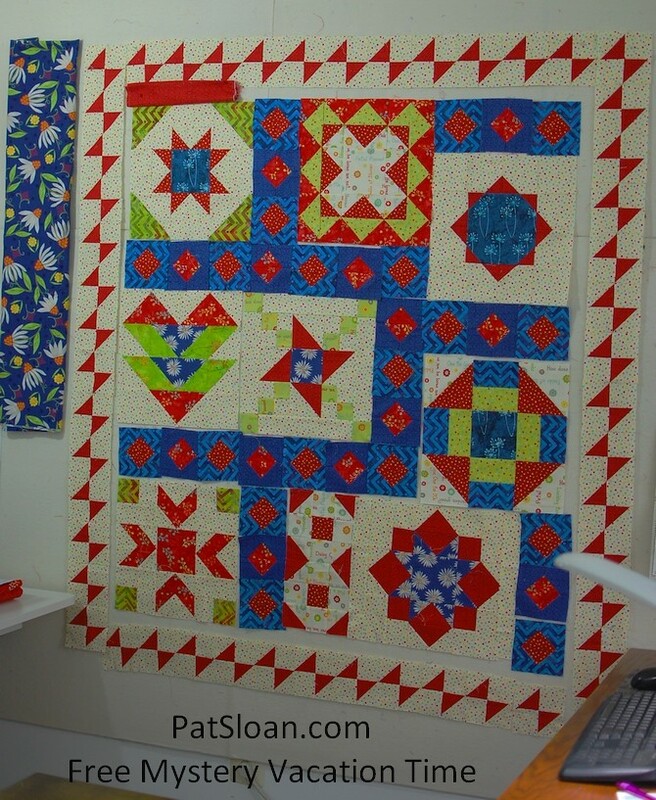 Enter your final quilt TOP in the link party. going to be a GREAT Prize!